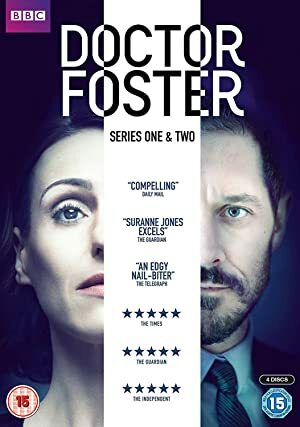 Doctor Foster – Season 2 (2017) – What's New on Netflix Canada Today! Two years ago Doctor Gemma Foster dramatically exposed her husband’s betrayals and he left town. Now Gemma’s life is destabilized once again when Simon returns. Reeling from the repercussions of Simon’s return, Gemma scrambles to uncover his secrets and find out what is going on with Tom. Doctor Gemma Foster’s life is about to be torn apart. She’s a talented family doctor at the heart of her community, a loving wife and mother, a woman people can trust. But her world is fractured the moment she suspects her husband, Simon, of having an affair. Determined to discover the truth, Gemma unearths dark secrets that threaten everything she loves. As her life and the lives of her patients and family are thrown into chaos, only one thing is certain – Gemma will find herself behaving in ways she could never have imagined.